In case you haven’t heard, video is everything when it comes to marketing. Why not put those videos on YouTube, a search engine owned by Google, to be found by more people?! 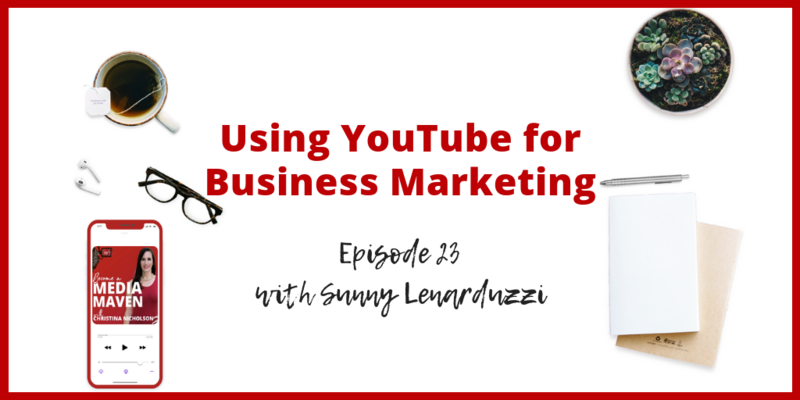 In this episode, Sunny Lenarduzzi is going to share how she uses to YouTube for business marketing to make money. She’s built a 7-figure business by using YouTube and teaching others how to use YouTube as well. Listen and learn how to build a brand and a business on YouTube, but not get burnout in the process. Sunny is going to share her experience of working too much… to the point of hospitalization, and how she bounced back and is loving the process of video creation and distribution on YouTube. I was running a tiny little consultancy. I did it for about five years and I really enjoyed managing and executing on social campaigns, and at the time, Instagram didn’t exist. It was just Twitter and Facebook and YouTube. I was just doing everything for my clients and I loved it. I was eating, sleeping, and breathing it. I really, really enjoyed the process of strategizing and then doing the execution and then figuring out the new tactics and whatnot. This all came out of my career. I actually started as a journalist, which is where you and I have some things in common, from that journalism background. Eventually, I proposed a series idea on YouTube to Hootsuite, which is a social media management company. It’s a really big company here in Vancouver and people use it all over the world. I’ve used it for so long and I proposed doing a series with them that would educate the general public on social media marketing and management. It was called the Social Update. 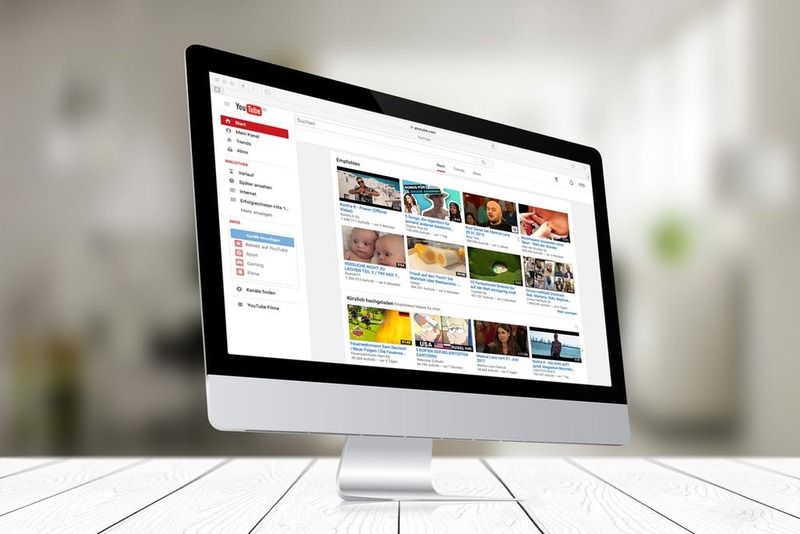 I didn’t think, “Oh, I’m good at YouTube so I should do this.” I was like, “Oh, this is a great idea and we’ll do Hootsuite and we’ll do it under their brand and that’ll be great.” So we did it and we grew their subscriptions by 75 percent with this strategy. Then, I just kinda went back behind the scenes, continued to manage my clients until one day I got to a point where I got really burned out and I had too many clients asking me questions… and I’m sure you can relate to that. I basically, out of pure desperation, one day was trying to figure out how to answer my clients question without having to go to a meeting or spend time on the phone because it just wasn’t working and I didn’t have time to do the actual work. So I sat down with a window in front of me for my lighting, a Webcam, and my computer and I filmed a tutorial on how to use Periscope for live streaming for your business because it was a huge, hot topic at that time. It had just launched and all my clients were asking you about it. So I was like, ‘you know what? I’m going to film a video and put it on my YouTube channel,’ which by the way had basically no subscribers. That was the moment. Someone’s trying to tell you something. I’m going to try and master this platform and I’m going to post one video a week for the next year. The next year, I grew to 50,000 subscribers from scratch and I grew to 3 million views. I think the really important thing to understand here is people are often like, ‘I don’t get your business model’. Imagine, no matter what niche you’re in, if you go from 10 people knowing who you are to three million people seeing your work and seeing you in your zone of genius on a weekly basis. That changes everything. So all of a sudden, I had more demand than ever. I secured my first speaking engagement at NATO. The head of NATOs social media reached out to me on LinkedIn and said, ‘Hey, I found your Twitter tutorial on YouTube and I think you’re really good at talking about this stuff. You want to come to talk to our delegates?’ which was like, the FBI, the UN, and NATO itself. It was crazy. A month or two after I started on Youtube, every speaking engagement I’ve gotten over the last two years has come from YouTube and come from people who discovered me on there. I spoke for Google a month ago in New York. They flew me out to speak at their partner awards and I asked them when I was talking to the people from Google, ‘where’d you find me?’ And they said, ‘oh, we found you on YouTube. Even Google found me on YouTube! It’s understanding that once you put your message out there and your genius out there on YouTube, you’re going to get found by all these people who’ve never heard of you before. When you get found, people know they can actually work with you. They can buy things from you, they can invest in you. I’ve kept doing it for three years and our business has doubled in revenue every, every single year. We now have a seven-figure business, which is so insane. I pretty much like despise that term at this point because I think it gets thrown around too much. But for me, it’s something I need to keep reiterating because I grew from a teeny tiny, $50,000 a year consultancy to now having a seven-figure business and in three years all from just taking the leap and getting curious about this platform. I love it and I love that it’s all organic. We’re not spending money on advertising and you’re practicing what you preach. I do the same thing in the media. I contribute to countless outlets. I’m always putting myself out there. I’m a guest on tons of podcasts and it’s the same idea. You’re reaching tons and tons of people who want to hear from you and you’re not spending a dime to do it. We built the business entirely organically and that’s when we started dabbling in ads. The great thing was we had capital. We have money in the bank to be able to start investing in them and that just added fuel to the fire. Having both is an incredible strategy. Organic is an amazing way to start, especially as a solopreneur because again, it doesn’t take you investing upfront, which is so rare and it’s such a blessing, and today, you can build an entire business without having to put money down up front. When you start building up your customer base, you start selling products or services, you need to have money to put into ad spend and then even more people can see you. How are you turning all of this publicity into profit? That’s the big question everyone wants the answer to. Click here to listen to the entire interview with Sunny Lenarduzzi.